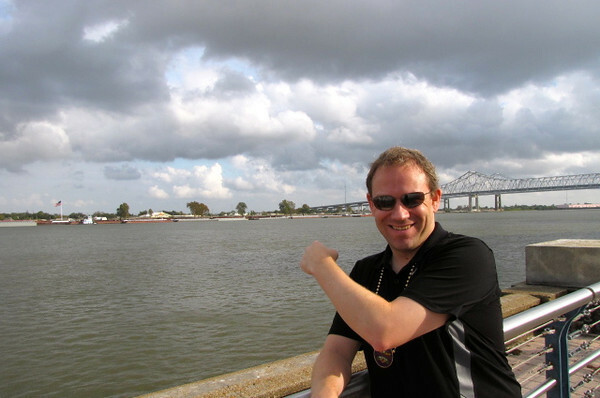 Did you know that North America's largest and most famous river, the Mississippi River, passes right through New Orleans? There's Shawn showing you it's true! This pic is from New Orleans' "Riverwalk" area, just outside of the French Quarter.